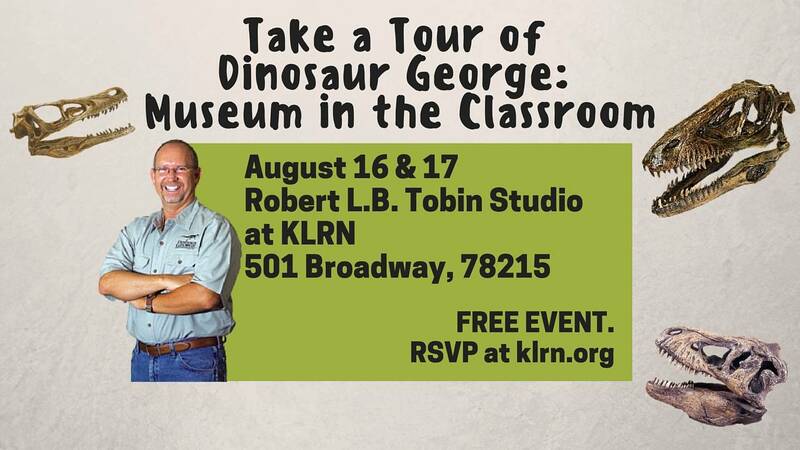 Join Dinosaur George as he brings the Museum in the Classroom to KLRN on Aug. 16 and 17. Museum in the Classroom is a self-guided exhibit that you can experience at your own pace. Program staff and museum ambassadors can answer questions and further enhance the journey back in time. George Blasing is a self-taught paleontologist and animal behaviorist with more than 35 years of study and research. He is a public speaker, author, television host and writer who has performed live to over 3 million people and has lectured in over 3,000 museums, schools and public events.